Today's winter athletes aren't content lapping lifts. They're doing dawn patrol up the mountain, building booters, and hiking quickly over frosty trail. They need a jacket to keep up. The North Face ThermoBall TriClimate Ski Jacket does just that with versatile, athletic construction. The 2.5-layer shell fabric includes built-in stretch for improved motion. A zip-in inner jacket relies on all-weather synthetic ThermoBall™ and PrimaLoft® insulation to keep you warm, and it easily removes if overheating creeps in. You can also wear the insulator as a jacket, and it has pocket space to boot. Handy features on the outer jacket include a fully adjustable hood, pit vents and a hem cinch. "What is the warmth rating?" "Thank you for your inquiry. 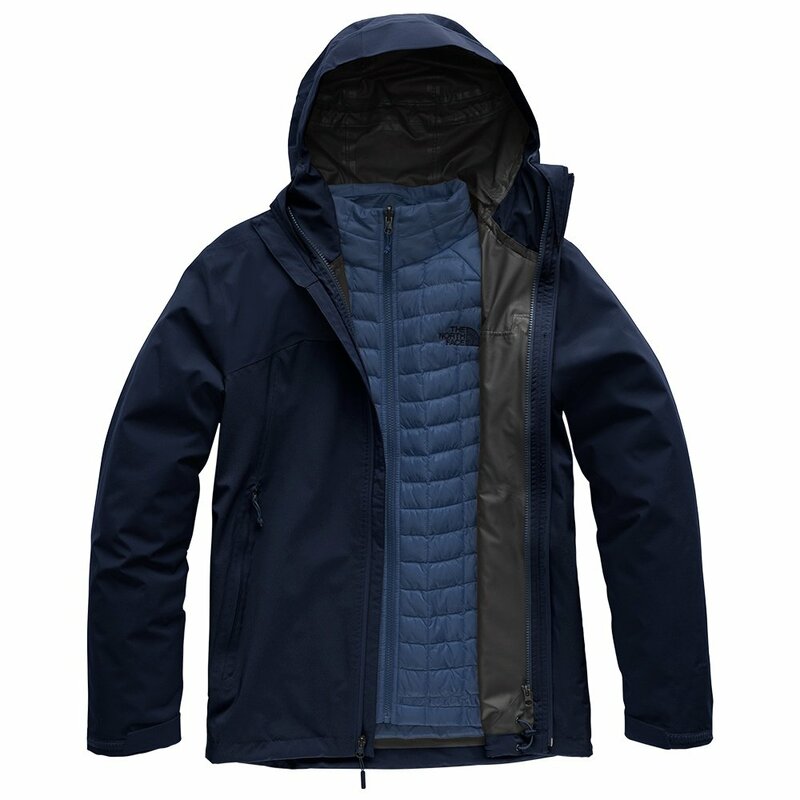 The North Face Thermoball Triclimate Ski Jacket has insulation amount of 60 grams but no rating temperature rating is provided. We hope this information helps!" "Is there 2-way zipper on outer jacket? " "Thank you for your inquiry. "The North Face Thermoball Triclimate Ski Jacket" does not have a 2-way zipper. For a 2-way zipper design we suggest taking a look at our Bogner, Rh+, KJUS or J.Lindeberg ski jacket brands. We hope this information helps with your Peter Glenn selection and purchase."